For better or for worse, Canada has been doomed to live in the shadow of its southern neighbor with regards to pretty much any aspect of life and investment banking is no exception. Yet, while it is no wonder that a lot of prospective investment bankers would have an impulse to choose New York over Toronto when evaluating investment banking career options, it’d be a mistake to dismiss Canada’s financial capital and its abundant job opportunities in the field. Taking a step back, Canada in general offers an excellent environment for investment banking, the harsh climate notwithstanding. It is one of the countries with the most stable political and regulatory systems in the world and, much like Australia, has rightfully earned the status of a safe harbor during times of global financial turmoil. The geographical proximity with the US and its ties with the United Kingdom are also making the country an attractive destination for financial institutions. Generally considered the financial capital of Canada, Toronto is the place to be if you’re considering heading up north for your investment banking career. Much like its more popular peers London and New York, the city has its own financial district, with a high concentration of banks and brokerage firms. The presence of the Toronto Stock Exchange, one of the largest in the world by market capitalization, is also making the case for investment banks to set up shop on the city’s Bay Street. If one is considering an investment banking career in Toronto, there might not even be a need to look to international giants, with Canada’s biggest banks all having offices in the city. Royal Bank of Canada is the first that come to mind, being one of the top 15 largest banks in the world and the fifth largest in North America, as measured by market capitalization. Bloomberg and Dealogic consistently rank its RBC Capital Markets unit among the largest global investment banks. As noted on its website, RBC Capital Markets, which employs over 3,000 staff, offers job opportunities not only for seasoned professionals but also for newcomers via its various undergraduate and graduate programs. 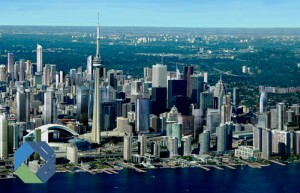 Toronto-Dominion is another name bound to pop up when one considers an investment banking career in Canada’s financial capital, with TD Securities providing a wide range of capital market products and services to corporate, government and institutional clients. The unit offers several graduate and undergraduate programs. Toronto’s Bay Street has also welcomed several international bulge bracket banks such as UBS whose business in Canada includes wealth management, investment banking and asset management services. Deutsche Bank is another European giant with a Bay Street office with the bank’s presence in Canada dating back to the 1970s. US banks are also well represented, including by JP Morgan which has acted as an advisor on some of the most important transactions in Canada, as noted on the company’s website. Morgan Stanley, whose Canadian unit is a member of the Toronto Stock Exchange and the Toronto Venture Exchange, has been actively involved in some of Canada’s most noteworthy transactions. Investment banking, however, is hardly the only financial career option Toronto has to offer. Prominent names such as KPMG, Lumira Capital, GE Capital and Scotiabank Private Equity all keep offices in the city, as do Deloitte and Ernst & Young. The Canadian Venture Capital and Private Equity Association (CVCA), the voice of Canada’s PE and VC industry, is also based on Toronto’s Bay Street. CVCA data show that as much as C$5.4 billion ($4.4 billion) in private equity was invested in Canadian companies during the first quarter of 2015, with Ontario accounting for 37 percent of the deals. For venture capital, $362 million ($295 million) was invested in Canadian companies during the same period, with Ontario snapping up 45 percent of the deal volume. While landing a position in a prominent investment bank in Toronto is unlikely to be easier than finding a job on Wall Street or in London’s City, it is not unachievable either, given the right set of skills. In addition to the standard modeling and corporate valuation skills, those looking to work in Toronto could also get an edge with a more extensive knowledge of mining and energy, which are Canada’s biggest industries. While less flashy than Wall Street, Toronto’s Bay Street is a home to plenty of financial institutions offering career opportunities to both experienced and prospective investment bankers. Even if Canada’s cold climate might be a little off-putting for some, on the upside, they have killer maple syrup pancakes.